Community resources for elderly abuse are designed to help both victims and their caregivers deal effectively with offenders. 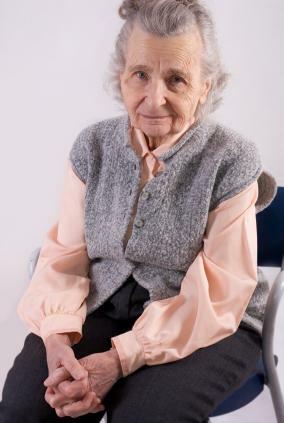 Elder abuse can occur in the home, in hospitals or in a nursing home setting. Read on to find out what elder abuse is and what you can do to help stop people that prey on the elderly. Physical abuse includes injuring someone or causing him or her pain, or holding someone against their will, such as confining a sick person to a bedroom or their home when they would rather leave. Sexual abuse falls into this category as well. As unfortunate as it may be to think about, sexual abuse is common senior citizen dilemma. The Nursing Home Abuse Center has information to help you identify signs of sexual abuse and tips on how to report it. While it can't always be seen as easily as physical abuse, the wounds of psychological abuse can be much deeper. Unfortunately, seniors are often prey for scam artists. The crime can also be perpetrated by family members or outside caregivers that are given access to an elder's accounts. Financial abuse is when the funds or assets of an elderly person are used for things not related to their care and well-being. Neglect may be the most common form of elder abuse. Neglect can occur when family members are unable to care for an elderly person either because they cannot afford to do so or refuse to. Many communities, even the smaller ones, have safeguards in place to help seniors as well as their caregivers and family members. Services that are offered include meal services, health services, counseling and support for families caring for older individuals. U.S. Administration on Aging - This government agency can be found in communities across the United States. Similar agencies are abroad as well. The agency is dedicated to providing services to assist the elderly in all facets of their lives, from health care issues to assisting victims of elder abuse. Clearinghouse on Abuse and Neglect of the Elderly - Provides information on crimes and abuse committed against the elderly. Information may be accessed by victims, caregivers or law enforcement agencies. National Center on Elder Abuse - Offers a helpline for those being abused or for caregivers that suspect abuse on their loved ones. Call 1-800-677-1116 for immediate assistance. Elder Financial Protection Network - Provides information on assisting the elderly protect their assets from those that want to use them for their own financial gain. Offers workshops on how to avoid scams, fraud and identity theft, as well as videos and booklets on these subjects. If you or a loved one are a victim, or you suspect abuse is occurring to someone you know, call one of two numbers for immediate assistance. Call 911 to file a police report, which will begin an investigation. Call the NCEA's helpline at 1-800-677-1116. They will assist you in filing a report of abuse and follow up with the authorities if a police report has already been filed. No one should suffer in silence. There are many community resources for elderly abuse to assist you if you are being harmed in any way. Visit the above-referenced websites or make a call today to end the abuse now.